A while back, I received a call from a potential new client. Her name is Janeth and she had found me on the internet. 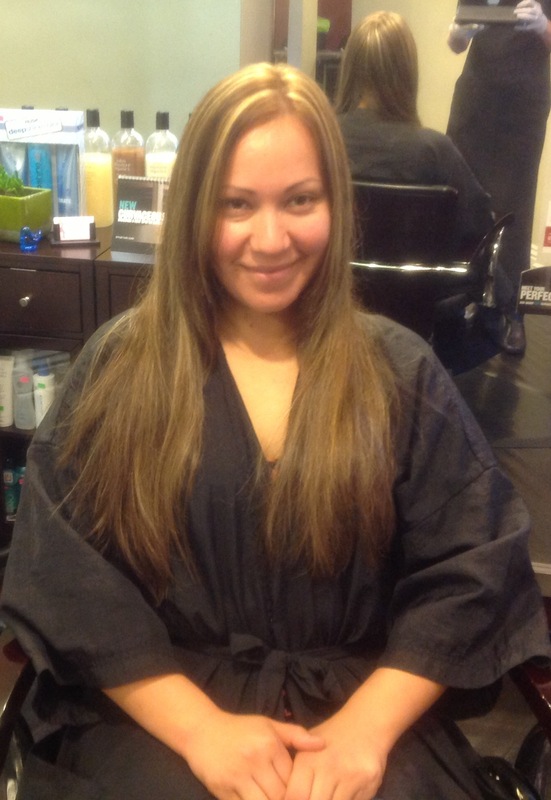 I’m Laura, a hairdresser from The Mane Hair Studio (at Sola Salon Suites) in Torrance, CA. One of the best independently owned and operated South Bay Hair Salons and Hair Color Correction Specialists. Although the original color translated pretty on Janeth. She wanted to be a lot blonder. Janeth had recently been to another hairdresser requesting hair color similar to Jennifer Aniston and was disappointed by the results achieved after that service. Upon further investigation over the telephone, I found out that Janeth’s natural hair color is a very dark shade of brown, almost black. I explained to her that becoming a blonde when your natural shade is so dark is time-consuming and costly. She was ready for both the time in my chair and the price that comes with it. Janeth sent me this photo in a text message after our first telephone consultation. After several minutes of telephone consultation, I asked Janeth to send me a photograph so that I could see the current state of her hair color. From the photo I received, I was able to determine that I could help her meet her goals and made an appointment to see her the following Friday. The first hairdresser had achieved the results shown in these two photos. After receiving the photo of the top of Janeth’s hair, I explained that she could expect to be with me for 3 to 4 hours. Janeth’s natural hair had already been lifted. 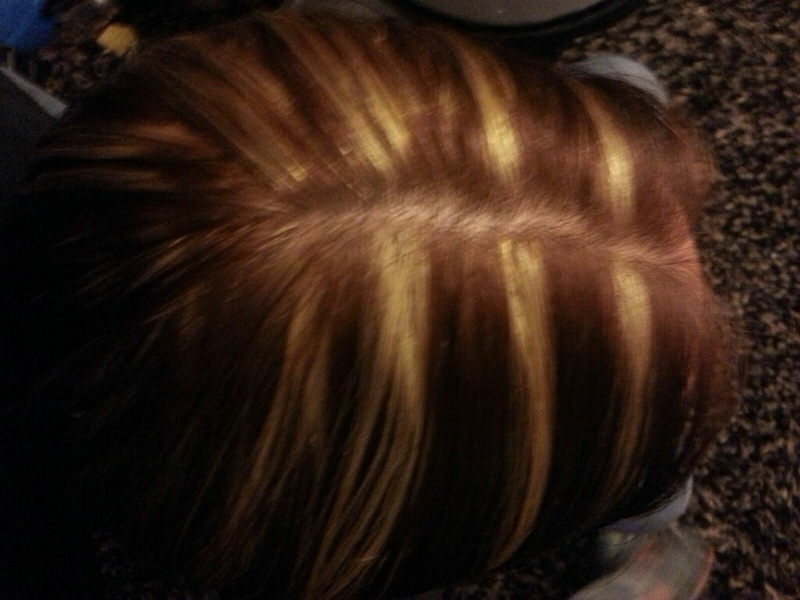 In other words, her hair color now had exposed warmth of deep red undertones with stripes of golden highlights. This created a complex puzzle for me to work with, as I was now about to re-create the wheel so to speak. Now that Janeth was in my chair, she explained that she had a new goal. It was to achieve a color similar to Beth Ostronsky (which is almost a platinum blonde and achieved with a traditional foil highlight, therefore, it has a softer appearance as it grows out). I can only speculate, but, I believe that Beth’s natural hair color is probably a light brown. I explained to Janeth that achieving the same results from her current hair color was going to be challenging to say the least. This new goal might have to be long term. But, I would happily help her work toward that goal. 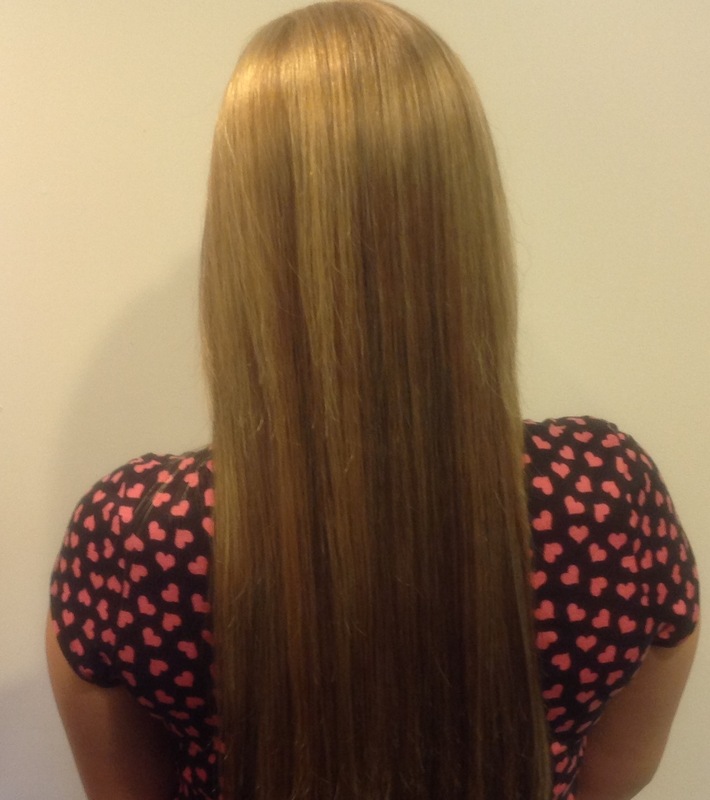 This is what Janeth’s hair color looked like after 3 hours of hair color correction. 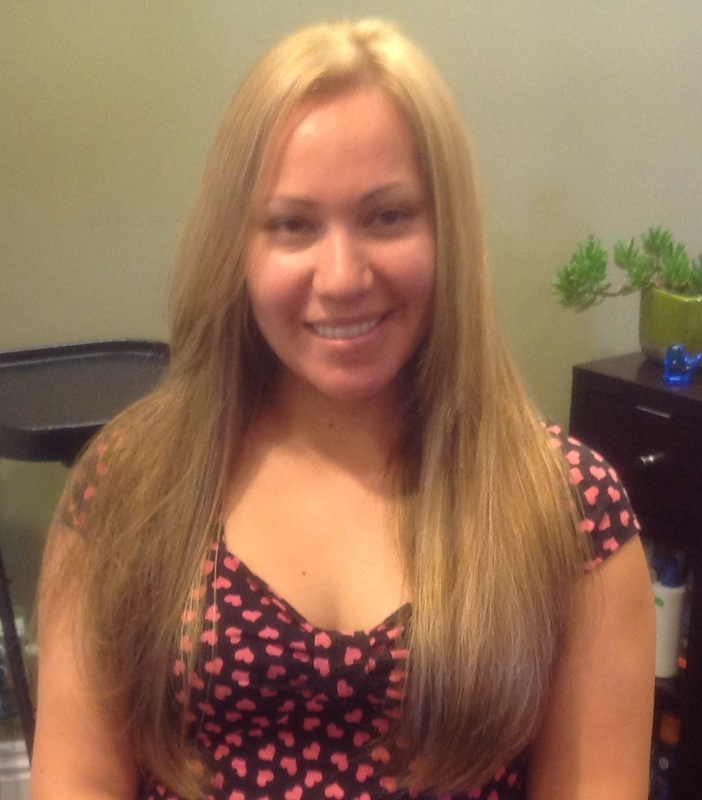 Before, during and after my services, I explained many things to Janeth about maintaining her hair color using the proper shampoos, conditioners and styling aids, as well as, her need to return for regrowth touch ups every 5-6 weeks. In addition, we talked about potentially making her even blonder in the future. As a result, maintaining the health of her hair by adding regular trims to her routine will be very important too. I will also begin to plan a long-term goal for her hair care maintenance. For example, maybe we can simply retouch her roots with a high lift tint next time I see her. My future approach will be based on several things, how often she comes to see me, her goals at the time, what it takes to meet those goals and her budget.